IT’S always great to see fresh young talent coming along in the world of watersports – and with the continuing success of our sailors during the Olympics down in Weymouth, interest in the sport has never been higher. So if you know of a young sailor or power boater in your area who always goes the extra mile, then why not nominate them for the Royal Yachting Association (RYA) Regional Young Sailor of the Year awards for 2012? Last year, the Thames Valley and London Young Sailor award went to the extremely talented Isobel Mitchell from Barham Close in Weybridge. Izzy, as she is known to friends and family, had an amazing record of success aboard an RS400 at Queen Mary Sailing Club in Ashford winning 34 out of 47 races during the year – a stunning achievement by anyone but particularly remarkable when you consider she was just 16 years old at the time. This year’s nominee could be someone who has overcome adversity and carried on sailing or someone who can demonstrate an exceptional achievement. The RYA has officially begun the search for the 2012 winners, opening nominations on August 28. The awards offer clubs and training centres the chance to recognise the outstanding impact young people have made to UK boating, whether it’s on the race course, or at their club, overcoming adversity or through an exceptional achievement. Covering London within the M25 and from London to Oxfordshire the RYA’s Thames Valley and London regional committee will be waiting to receive your nominations before deciding on their RYA Regional Young Sailor of the Year winner. RYA chief executive Sarah Treseder said: “The awards are a fantastic opportunity to recognise the achievements of young people in our sport. This year, more than ever, young people around the country have been leading activity at their clubs and showcasing our sport to the nation. “These awards would not be possible without your nominations so please do put forward your winning sailor, windsurfer, power boater or jet skier”. Each RYA Regional Young Sailor of the Year winner is then automatically put forward for the National YJA Pantaenius Young Sailor of the Year Award, with three finalists short-listed by the Yachting Journalists’ Association (YJA) from all of the nominees. 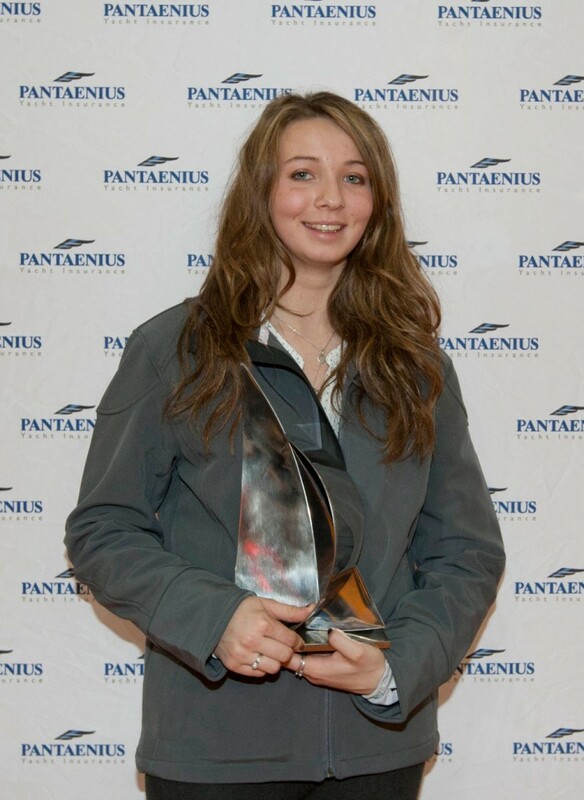 The RYA Thames Valley and London winner (or winners if it is a crew or team) and their families will be treated to a VIP day at the 2013 London Boat Show, where the national YJA Pantaenius Young Sailor of the Year winner will be announced. To give you an idea of just how prestigious this award is, I need only mention that previous winners include Olympic multiple gold medalist, Ben Ainslie and transatlantic solo yachtswoman, Dame Ellen MacArthur. The award is open to young sailors and power boaters who will not have reached their 19th birthday before December 31 2012. To find out more information – or to nominate your young sailor – visit www.rya.org.uk/go/youngsailor.